Our First Lesson —The Slab Technique! Right After dinner, our teachers talked about what they were going to teach us. They showed their quilts and then we went back to the barn for the lesson. 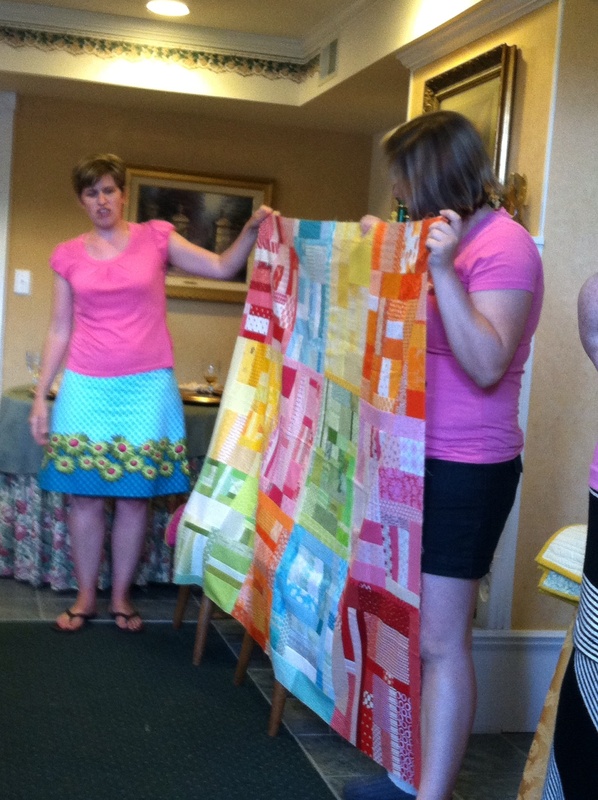 Amanda from Crazy Mom Quilts was our first instructor and she taught us the slab tenique! 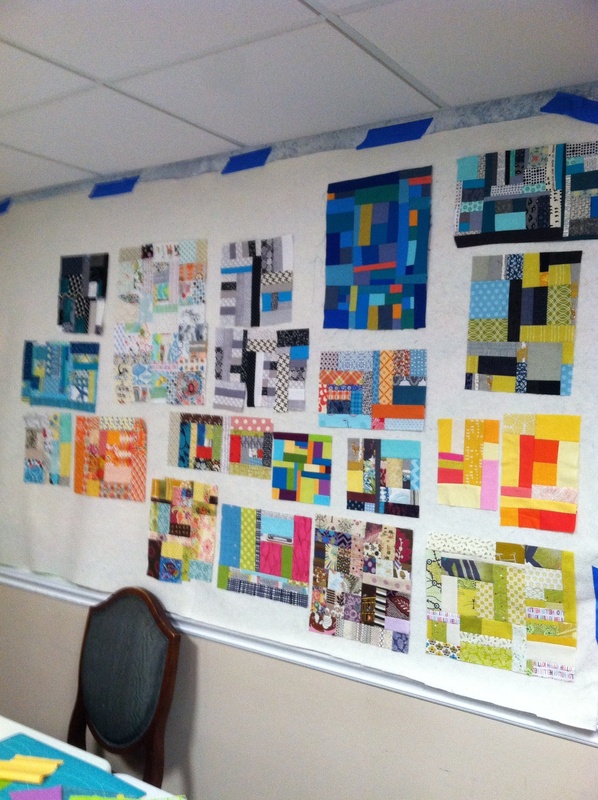 She showed us how to put small scraps together to make a small or larger quilt. Here are a few pictures of her teaching. Finally, we all showed off what we had done for all to see. It was great fun! 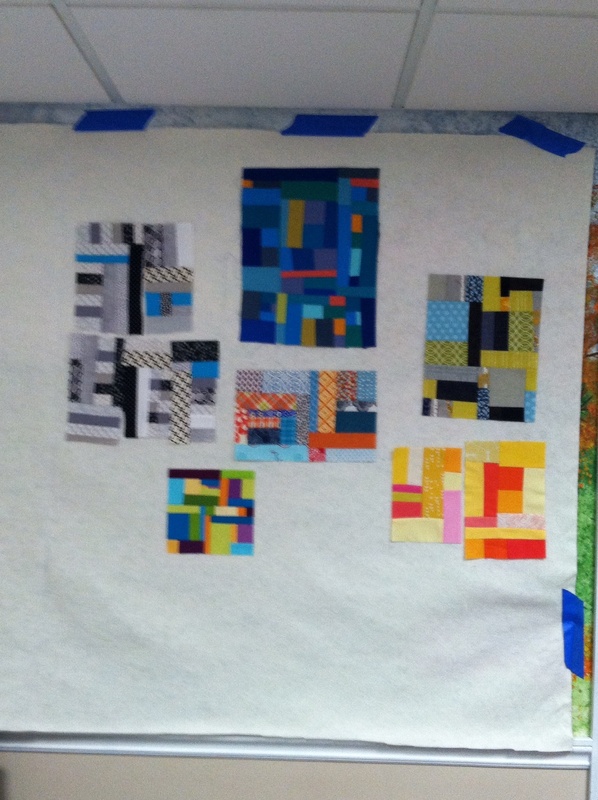 These pieced slabs can be put together for small or large projects…tune in for tomorrow’s lesson. 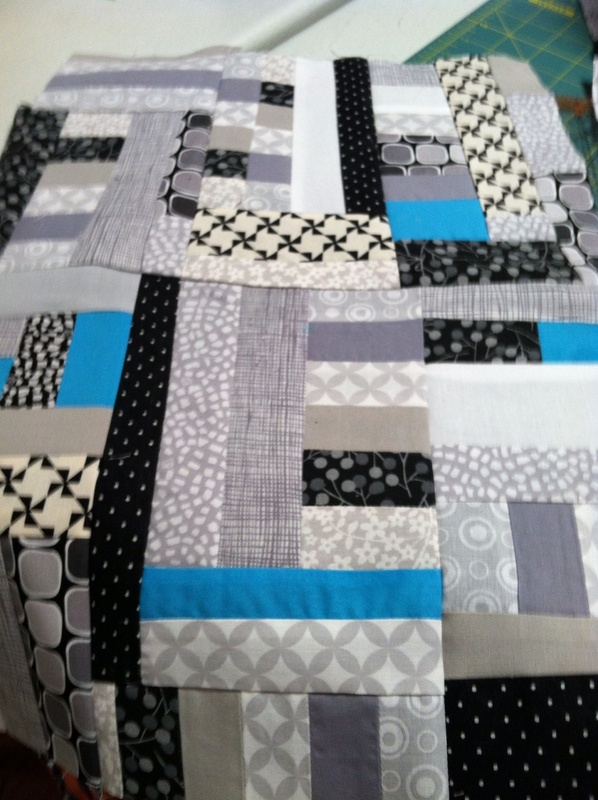 Aside | This entry was posted in Uncategorized and tagged Camp Stitch-A-Lot, Modern Quilting, Modern Quilts, Wonky Log Cabin. Bookmark the permalink. 3 Responses to Our First Lesson —The Slab Technique! OK! We will have a play day! I am so happy you’re up there learning and representing our guild. You know you’re going to have to give a presentation to all of us now!! Please pass on to all of your instructors, but especially Amanda Jean, how much I’ve learned from her just by reading her blog. Every newbie I encounter, I point them in her direction. I can’t wait to hear all about your fabulous time. Love what you are doing. Come home and teach me.